The LG 32" LN530B 720p LED TV features an LCD panel with 1024 x 768 native resolution, Direct LED backlighting, a Triple XD Engine and a refresh rate of 60 Hz that promotes sharp detail and contrast - even when watching sports and action movies. The TV supports 720p HDTV resolution and its Picture Wizard II technology allows you to self-calibrate key picture quality elements including black level, color, tint, sharpness and backlight levels. This model offers dual HDMI inputs with one located on the side of the panel and one on the rear. There's also a USB 3.0/2.0 port that lets you play music or photos from a USB drive without needing to use a PC. Other features include MHL mobile device mirroring, SIMPLINK multi-device control, multiple picture modes, multiple sound modes, Virtual Surround technology, Clear Voice II technology and 20W stereo speakers. This model also features the government's Energy Star qualification. LG's Direct LED technology adds brightness, clarity and color detail. 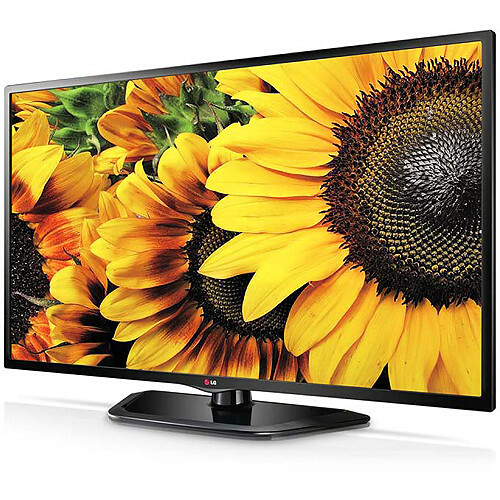 With a native resolution of 1024 x 768, this model supports 720p HDTV resolution for sharp pictures and vibrant colors. 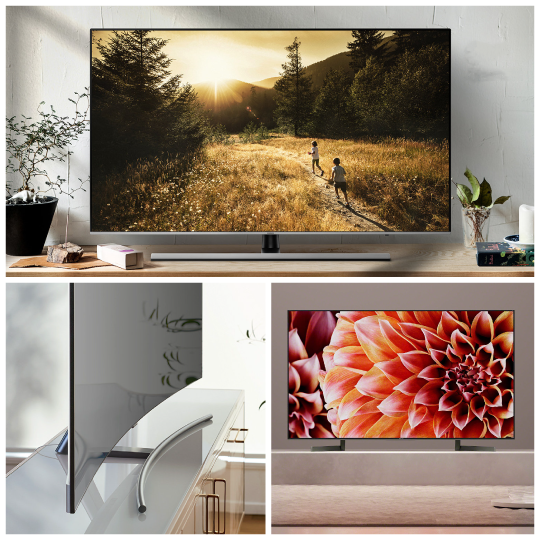 Energy Star compliance means this TV meets strict energy efficiency guidelines set by the US Environmental Protection Agency and the Department of Energy. It also means the TV saves energy both in standby and active modes. 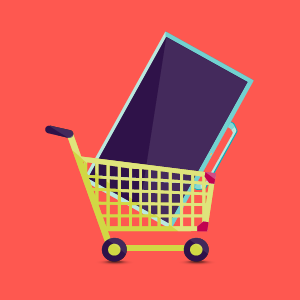 Energy Star qualified TVs use about 30% less energy than standard units. Get easy self-calibration with on-screen reference points for key picture quality elements such as black level, color, tint, sharpness and backlight levels. With LG's Smart Energy Saving Features, you can conserve money and energy. Box Dimensions (LxWxH) 35.5 x 21.0 x 6.5"
32" LN530B 720p LED TV is rated 4.8 out of 5 by 10. Rated 3 out of 5 by Greg from So Far, So Good This is a pretty basic flat panel TV which I purchased as a gift for my mother-in-law who lives in a very small apartment in a senior citizen building. Easy to set up with auto channel detection. It has HDMI and USB inputs. However, when I set it up, she only had an analog cable box, so I could not evaluate the high definition picture. Since then, the cable company has come and swapped out the boxes, and Mom seems pleased. Rated 5 out of 5 by Tuned in Matt from Great buy! Avid tv user (television, movies, video games and laptop connections) This tv is fantastic! The sound and picture are wonderful and it's very easy to set up and use! Rated 5 out of 5 by JFEZZ from Best Price for Features I needed a monitor with a beautiful display for a limited amount of space. For the quality and features offered, this one came in 50 dollars lower then competitors. Rated 5 out of 5 by Rick788 from All is good so far. The picture quaity is great, easy to use tv menu, and sound is good. I don't really have any complaints about it. Rated 5 out of 5 by tbr1 from I would Highly Recommend this LED TV by This is one incredible TV. Beautiful picture and the sound is very good. Features I like, one can attach an external hard drive and view photos on the large screen. And play music from the external hard drive.Also, via a HDMI cable you can attach a notebook computer and view every thing on the TV screen. Youtube, etc. One fantastic TV. And the sale price was great! Rated 5 out of 5 by Jim the Non-Runner from This Box is Excellent - Best bang/buck If you need a High Def moderate size set for TV and Computer/Gaming use, this one is great for the price. I'd say it's one of the best bangs for the buck. Rated 5 out of 5 by elfsnare from OUTSTANDING 2 for 2!!! This was a christmas gift for my mom and she absolutely loves it! It got here just in time for Christmas and packed very very well. is this good for playing video games? Have no idea. It was a gift for my mother-in-law.